Increasingly, coaches are adding psychometric assessments to their tool kit as a source for sound, objective information to support the coaching process. Depending on your experience with assessments, you may have questions and perhaps reservations about using them with your clients. In this informative program, you will learn about the background of assessments, when to use assessments in coaching, which type of assessments makes the most sense for your practice, and the value and limitations of assessments. You will also have a chance to take a popular assessment and gain insight into yourself! What types of assessments are used in coaching?When to use assessments? What is the best assessment to use in coaching? Ipsative or Normative? Which is better? Come prepared to share your experiences using assessment in your practice and to learn from others. Chris R. Bamford, M.A. is a Senior Consultant and Executive Coach at O.E. Strategies, a Cleveland based management consulting firm partnering with its clients to help them implement strategic Human resource systems and support change initiative. He received his Master’s degree from the University of Akron in Industrial / Organizational Psychology and did his ICF Coach training at Duquesne University. 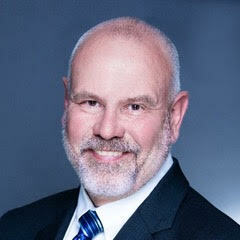 Over his 30-year career, Chris has worked in numerous senior corporate and consulting positions. These roles have provided him with a wealth of experiences that allows him to hold a variety of perspectives on complex business issues.